An image can be represented in the form of patterns of intensities, with the objects of an image appearing in the form of a pattern on an X-Y plane. The two patterns of intensities of two corresponding facial images are measured by calculating the areas of right triangles formed from patterns in a Cartesian coordinate system. The purpose of representing patterns of intensities in the Cartesian coordinate system is to measure the percentage of similarities that exists between two facial images, similarities inherent in photographs. The percentage is measured by incorporating the proposed technique of areas that are common between two patterns of intensities. The pattern 1 produces areas of right triangles of a parent with respect to areas of right triangles of a child. The strategy of measuring the facial similarities between two patterns of intensities is dependent on the areas of pattern 1 that have commonalities with the areas of pattern 2. This helps in the measuring of the facial similarities between two patterns of intensities. The proposed method has yielded results of 71.3, 77.1, 71.3, and 70.5 percent of similarity on the dataset KinfaceW-I and 80.7, 82.1, 80.6, 81.1 on the dataset KinfaceW-II. Ravi Kumar Y. B. and C. Narayanappa, “Triangular Similarities of Facial Features to Determine: The Relationships Among Family Members,” J. Adv. Comput. Intell. Intell. Inform., Vol.22, No.3, pp. 323-332, 2018. S. Wang, A. Rehman, Z. Wang, S. Ma, and W. Gao, “Perceptual Video Coding Based on SSIM-Inspired Divisive Normalization,” IEEE Trans. on Image Processing, Vol.22, No.4, pp. 1418-1429, 2013. L. Zhang, L. Zhang, X. Mou, and D. Zhang, “FSIM: A Feature Similarity Index for Image Quality Assessment,” IEEE Trans. on Image Processing, Vol.21, No.8, pp. 2378-2386, 2012. M. F. Dal Martello and L. Maloney, “Lateralization of Kin Recognition Patterns of Intensities in the Human Face,” J. of Vision, Vol.10, No.8-9, pp. 1-10, 2010. B. W. Papiez and B. J. Matuszewski, “Symmetric Image Registration with Directly Calculated Inverse Deformation Field,” Symmetric Image Registration Annals of the BMVA, Vol.2012, No.6, pp. 1-14, 2012. J. Pang, G. Cheung, W. Hu, and O. C. Au, “Redefining Self-Similarity in Natural Images for Denoising Using Graph Signal Gradient,” Pattern of Intensities and Information Processing Association Annual Summit and Conf. (APSIPA), 2014 Asia-Pacific, pp. 1-8, doi: 10.1109/APSIPA.2014.7041627, 2014. M. Prilepok, J. Platos, V. Snasel, and I. S. Jahan, “Compression-based similarity in EEG patterns of intensities,” 13th Int. Conf. on Intellient Systems Design and Applications, pp. 247-252, doi: 10.1109/ISDA.2013.6920743, 2013. D. M. Rotondo, M. P. Wachowiak, D. C. Hay, and M. J. Johnson, “Uncovering Similarities in Biomedical Patterns of Intensities,” IEEE 27th Canadian Conf. on Electrical and Computer Engineering (CCECE), pp. 1-6, doi: 10.1109/CCECE.2014.6901075, 2014. P. Perner, “A Novel Method for the Interpretation of Spectrometer Patterns of intensities Based on Delta-Modulation and Similarity Determination,” IEEE 28th Int. Conf. on Advanced Information Networking and Applications, pp. 1154-1160, doi: 10.1109/AINA.2014.44, 2014. A. Hore and D. Ziou, “Is there a Relationship Between Peak-Pattern of Intensities-to-Noise Ratio and Structural Similarity Index Measure?,” IET Image Processing, Vol.7, No.1, pp. 12-24, doi: 10.1049/iet-ipr.2012.0489, 2013. G. Zheng, J. Qi, G. j. Shi, and M. Dai, “Similarity Measurement Study for Bio-Pattern of Intensities Waveform Based on Tunnel Morph,” 8th Int. Conf. on Fuzzy Systems and Knowledge Discovery (FSKD), pp. 1626-1632, doi: 10.1109/FSKD.2011.6019923, 2011. R. G. Lyons, “Fast Algorithms for Computing Similarity Measures in Patterns of Intensities,” Streamlining Digital Pattern of intensities Processing: A Tricks of the Trade Guidebook, Wiley-IEEE Press, pp. 147-156, doi: 10.1002/9781118316948.ch15, 2012. N. Y. Almudhahka, M. S. Nixon, and J. S. Hare, “Automatic Semantic Face Recognition,” IEEE 12th Int. Conf. on Automatic Face & Gesture Recognition, pp. 180-186, 2017. X. Yin and X. Liu, “Multi-Task Convolutional Neural Network for Pose-Invariant Face Recognition,” IEEE Trans. on Image Processing, Vol.27, No.2, pp. 964-975, doi: 10.1109/TIP.2017.2765830, 2017. D. Brunet, E. R. Vrscay, and Z. Wang, “On the Mathematical Properties of the Structural Similarity Index,” IEEE Trans. on Image Processing, Vol.21, No.4, pp. 1488-1499, 2012. 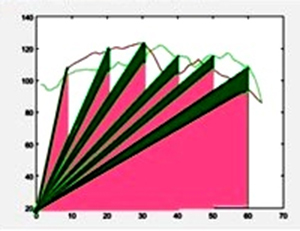 Y. Li and K. M. Wong, “Riemannian Distances for Pattern of intensities Classification by Power Spectral Density,” IEEE J. of Selected Topics in Pattern of Intensities Processing, Vol.7, No.4, 2013. M. Vetterli, J. Kovǎcevi, and V. K. Goyal, “Foundations of Pattern of Intensities Processing,” Cambridge University Press, 2014. J. G. Proakis and D. G. Manolakis, “Digital Pattern of Intensities Processing: Principles, Algorithms and Applications,” 3rd Edition, Printice-Hall International, 1996. A. Joulin, L. Van der Maaten, A. Jabri, and N. Vasilache, “Learning Visual Features from Large Weakly Supervised Data,” arXiv:1511.02251v1, 2015. N. Pan, J. Yang, Z. Yi, and Y. Liu, “Linear Marks Similarity Matching Algorithm Based on Laser Detection Patterns of Intensities,” 7th Int. Conf. on Modelling Identification and Control (ICMIC), pp. 1-6, doi: 10.1109/ICMIC.2015.7409401, 2015. F. Yang, X. Yu, and G. Karypis, “Pattern of Intensitiesing Adverse Drug Reactions with Novel Feature-Based Similarity Model,” IEEE Int. Conf. on Bioinformatics and Biomedicine (BIBM), pp. 593-596, doi: 10.1109/BIBM.2014.6999227, 2014. G. Chakraborty and D. Kikuchi, “A New Proximity Aware Similarity Metric for Contiguous Clustering for Segmenting Patterns of Intensities,” 2014 IEEE Int. Conf. on Systems, Man, and Cybernetics (SMC), pp. 694-699, doi: 10.1109/SMC.2014.6973990, 2014. D. Lauria and C. Pisani, “Real Time Generator Coherency Evaluations via Hilbert Transform and Patterns of Intensities Morphological Similarity,” Int. Symp. on Power Electronics, Electrical Drives, Automation and Motion (SPEEDAM), pp. 78-83, doi: 10.1109/SPEEDAM.2014.6872128, 2014. H. Higashi and T. Tanaka, “Regularization Using Similarities of Patterns of Intensities Observed in Nearby Sensors for Feature Extraction of Brain Patterns of Intensities,” 35th Annual Int. Conf. of the IEEE Engineering in Medicine and Biology Society (EMBC), pp. 7420-7423, doi:10.1109/EMBC.2013.6611273, 2013. W. S. Lai, C. J. Tseng, and J. J. Ding, “Improved Structural Similarity Measurement for Vocal Patterns of Intensities,” IEEE Int. Symp. on Circuits and Systems (ISCAS2013), pp. 301-304, doi: 10.1109/ISCAS.2013.6571842, 2013. P. Li-na, “Study on Emitter Pattern of Intensities Recognition Based on Backward Cloud Model and Attribute Similarity,” 19th Int. Conf. on Microwave Radar and Wireless Communications (MIKON), pp. 546-550, doi: 10.1109/MIKON.2012.6233609, 2012. A. Rehman and Z. Wang, “Reduced-Reference Image Quality Assessment by Structural Similarity Estimation,” IEEE Trans. on Image Processing, Vol.21, No.8, pp. 3378-3389, 2012. K. Tsukida and M. R. Gupta, “How to Analyze Paired Comparision Data,” UW Electrical Engineering, UWEE Technical Report Number UWEETR-2011-0004, 2011. A. Hore and D. Ziou, “Image Quality Metrics: PSNR vs SSIM,” Int. Conf. on Pattern Recognition, 2010. J. Dudczyk, A. Kawalec, and J. Cyrek, “Applying the Distance and Similarity Functions to Radar Patterns of Intensities Identification,” Int. Radar Symposium, pp. 1-4, doi: 10.1109/IRS.2008.4585771, 2008. G. Hua and O. Hasegawa, “A Robust Visual-Feature-Extraction Method for Simultaneous localization and Mapping in Public Outdoor Environment,” J. of Adv. Comput. Intell. Intell. Inform., Vol.19, No.1, pp. 11-22, 2015. Q. Lei, J. Liu, M. Wu, and J. Wang, “Image Clustering using Active-Constraint Semi-Supervised Affinity Propagation,” J. of Adv. Comput. Intell. Intell. Inform., Vol.20, No.7, pp. 1035-1043, 2016.